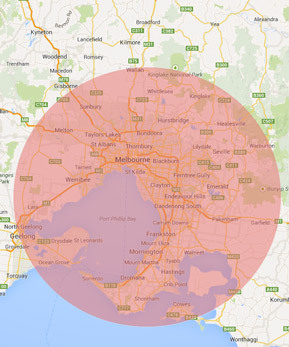 Elite Cat Enclosures have now expanded their operation to accommodate all of the Gippsland region. Recent council notices have been distributed to cat owners to ensure their cat does not endanger the native wildlife. It is an offense for cats to be at large outside the premises at any time – day or night. Unfortunately some Cats have a significant impact on the native wildlife so the East Gippsland and other Gippsland shire councils have deemed it necessary to enforce this restriction. But all is not bad for cat owners. This provides an opportunity for cat owners to take up our offer on providing your cat with a comfortable attractive and safe cat enclosure. Cat Owners should remember that contained cats have a much lesser chance of becoming impounded or injured, lost or subject to feline AIDS (FIV). Many cat owners report that cats are less stressed in an adequate size container because they no longer have to fight for their territory. More cat owners are choosing cat enclosures as a safe and practical alternative to enjoy their pet. Elite Cat Enclosures Gippsland can provide prompt service, quoting and installations. Because we use only quality products and guarantee our workmanship you can be confident knowing you have made the right choice when choosing one of our enclosures. Latrobe City Area, including Taralgon Tyers, Yallorn Yinnar Newborough, Balook, Boola, Glengarry, Hazelwood, Hernes Oak, Maryvale, Moe, Morwell, Callignee. South Gippsland areas including Foster, Koonwarra, Leongatha, Loch Mirboo North, Nyora, Sandy Point, Stony Creek, Venus Bay, Welshpool, Wurrahtar Bay, Anderson Inlet, Budgeree. Cardinia Area, Mt Baw Baw.